First winners of Israel Lotto in 2019 are French immigrant couple, who netted 30 million shekels. A couple who immigrated to Israel from France are the first winners of the Israel lottery in 2019, raking in a 30-million-shekel ($8.1 million) jackpot. The winners, Israel Hayom reported Tuesday morning, are a couple in their 50s who emigrated from France a decade ago and now live in Tel Aviv. The couple has three children, and identify as traditional. 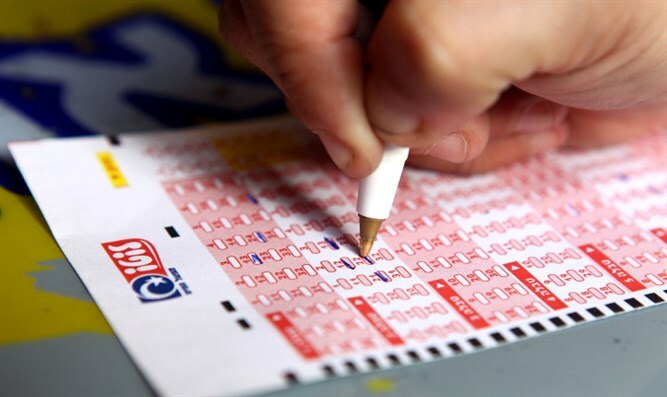 The couple won last Tuesday’s Double Lotto draw, getting all six of the numbers correct on their 64-shekel ($17) ticket for the 30-million-shekel ($8.1 million) grand prize. It took three days, however, until the couple discovered that they had won the lottery, when the husband checked the Israel Lotto’s website Friday afternoon. After their win, the couple remained mum, the husband going to synagogue Friday night as usual for Shabbat prayers, silently making a special prayer of thanks for the big win, without letting anyone else know about his new wealth. During the Sabbath, the couple kept the secret to themselves, not letting on to their guests that they were the winners of that week’s lottery. What are their plans for the money? “We’re happy that we immigrated to Israel, and now we’re even happier,” the wife said.